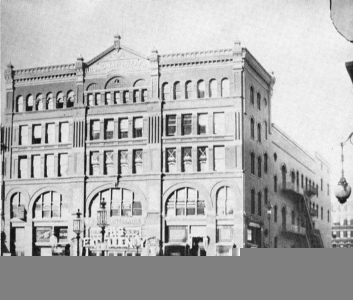 Interesting Facts This was the first major playhouse built in what has become today’s Times Square Theatre District. Edwin Booth and Sir Henry Irving made their final New York appearances there. It housed the first dramatic production of Ben Hur. Joseph Haworth opened at the Broadway in Shenandoah on May 1, 1899 and The Ghetto in Sept. 1899.